JOIN HOTTUBSUK DISCOUNT CLUB FOR AN EXTRA 10% DISCOUNT ON NEARLY EVERYTHING! Keep your hot tub water clean, clear and chlorine-free for at least 3 months. Leaves skin soft and hydrated without irritation. No unpleasant smell or toxic side-effects. No pH & Alkalinity balancing. 100% Biodegradable and environmentally friendly. CLEAN - CLEAR - CHLORINE-FREE WATER - NATURALLY! Don't Panic! It's actually very easy! Don't use too much product. In hot tubs a little goes a long way and it's very easy to over do it with tub chemicals. Water clarifiers work wonders! If your water is just looking a little off-colour a dose of clarifier is probably the answer. Clean your filters! Hot tub filters need to be cleaned regularly using a non-foaming filter cleaner. Powdered cleaners are best because they remove limescale as well as grease. Poor water quality is almost always due to poor filtration. Microban protection continuously fights the growth of damaging microbes such as, bacteria, mould and mildew that cause stains, odours and product degradation. Clean Your Filters in Minutes! An innovative new design to effortlessly clean your filters with the power of water alone! Chemical free and very environmentally friendly. The only requirement is a reasonable water pressure (we think around 1.5bar). And, don't forget that a long hose between the tap and the Estelle will reduce your water pressure considerably! Watch the video and see it work!! Nothing is more important in maintaining good hot tub water quality than the filtration system. Dirty, clogged or worn-out hot tub filters will fail in their job of trapping contaminants and put an unnecessary strain on the spa pumps. If your water quality starts to deteriorate unexpectedly then the cause is very likely to be old or dirty filters. Hot tub filters should be cleaned regularly and replaced every 6 - 9 months. Always dry the filters before reinserting them back into your hot tub. The Best Water Clarifier Ever! The Zorbie sponge floats on top of your hot tub water absorbing contaminants and so reducing foaming. A Zorbie keeps your water sparkling clear and foam free for up to 3 months without any chemical additives. Great to use in conjunction with ecoONE Spa Monthly. Biofilm accumulates in the pipe work of all hot tubs and provides an ideal breading ground for bacteria and algae. hot tub plumbing biofilm A spa with immaculately clean plumbing results in cleaner, clearer, fresher water and better water circulation. Rigid insulation covers can be tailor-made to suit all sizes and shapes of hot tub. Investing in a good quality well fitting cover is the most cost effective expenditure you can make for your tub. Old, water-logged covers are very heavy, do not insulate well and need to be replaced. Natural hot tub aromatherapy crystals with a minimum of 1% pure essential oils. Aromatherapy is the practice of using volatile plant oils (essential oils) for psychological and physical well-being. Essential oils are not the same as perfume or fragrance oils. Essential oils are derived from the actual plants after which they are named. They usually smell very strongly and can offer significant, proven, therapeutic benefit. . Essential oils are not the same as perfume or fragrance oils. Essential oils are derived from the actual plants after which they are named. They usually smell very strongly and can offer significant, proven, therapeutic benefit.. Aromatherapy crystals provide a natural remedy for aches and pains; nutrients for overworked and tense muscles and relaxants for stress. Seals minor cracks and leaks in pipe-work and pool surfaces. Can be used in all types of hot tubs, but this product will not seal rips in a vinyl liner. 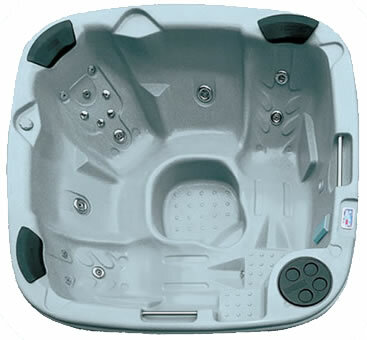 In addition to the parts listed, we can often supply we can often supply spare parts such as jets and headrests, particularly for common hot tub makes such as Sundance, Marquis, Master Spas, Vita Spa, Spaform and some others. Please ring us with your requirement. A photo is always helpful to help identify the correct part. DUAL RECLINERS & AFFORDABLE LUXURY! 38 stainless-steel jet package and a 1.2kw multi-speed air injection system. This spa has the best specification of any inflatable spa on the Uk market and is supplied with a complimentary Heat Retention Mat, 2 filters and, importantly, 2 storage bags to ensure that you can keep the spa clean and servicable over the winter. Depending on the model chosen, the power requirements are likely to be be either 13 amp or 30 amp single phase. A qualified electrician must install the power supply, which must be wired through a Residual Current Device (RCD), or circuit breaker, at least 2 metres away from the hot tub. All outside cable should be armoured. Why do you immediately feel good when you get into a hot tub? For a start, you instantly lose 90% of your body weight, reducing the load on your heart by 10-20%. And, because the temperature is sustained at around 38C, the feeling of well-being that you experience is accompanied by changes in your circulatory system that have a beneficial effect on many aspects of your body. When this is combined with the therapeutic effect of the spa's massage jets, which further relax the muscles, and promote healing, the result is sheer bliss!